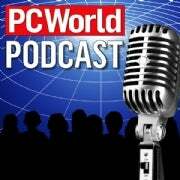 In this week’s edition of the PC World Podcast, Editors Robert Strohmeyer, Denny Arar, Nick Mediati, and Macworld’s Roman Loyola discuss the newest round of desktop Macs on the market, the Kindle application for iPhone, and some cool, lesser-known MS services and applications. Roman shares his observations on some of the downfalls to the new, underwhelming lineup of Macs—which are mainly just refreshed versions of the previous line. He explains how none of most Mac users’ wish-list items, like a matte screen option, appeared, and how devoted Mac users are unimpressed with what they’ve been given. iPhone owners can now download a free Kindle application. It’s pretty good for a free app., but does it match the high quality of Kindle 2? Denny Arar, a Kindle 2 owner, weighs in. Finally, the gang discusses some underrated Microsoft web services, like Virtual Earth. They’re quality and interesting applications, but their launch strategies have been less than enthusiastic. Maybe they’re unpopular because of bad PR.